Your daily kitchen cleaning routine might get rid of most grime and germs, but a regular deep clean is what you need to make sure every inch of your kitchen is spotless. Whatever size kitchen you have, our deep clean specialists will make your entire food preparation area gleam, and get to all the places many people don’t, like your ceiling and lights. This’ll make it a safe place for staff to work, and it means food will be cooked as hygienically as can be – it’s a win-win, and it’s why so many Yorkshire businesses trust us year in, year out. It’s exactly as it sounds – we go in deep to get rid of grease and bacteria from every surface, making even the least accessible parts of your kitchen sparkle. We’ll clean all equipment, appliances, tables, shelves, walls, doors and your ceiling to industry standards. And whether you have a carpet, stone, wood or tiled floor, we’ll have that ship-shape too. With our proven formula of cleaning chemicals combined with good old fashioned elbow grease, we’ll also remove burnt on carbon and fat deposits – a breeding ground for germs. 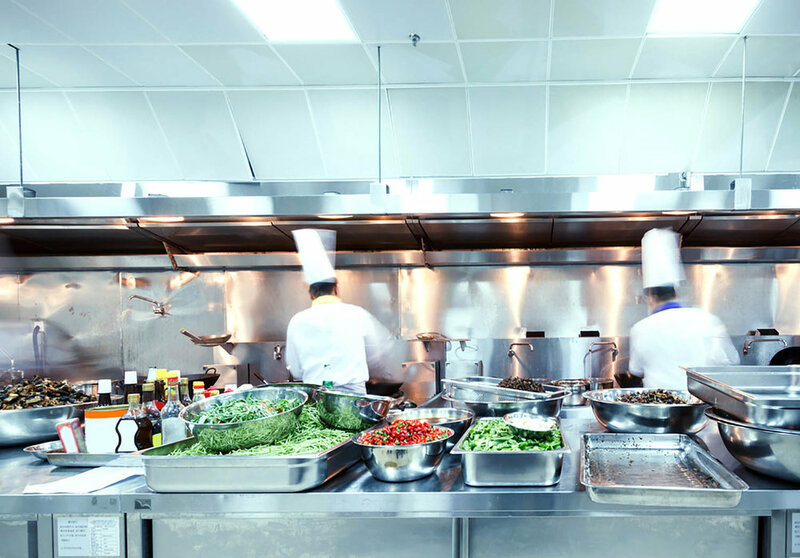 It’s your obligation – The Food Safety Act 1990 and the Food Hygiene Regulations 2006 set cleanliness standards that all commercial kitchen owners must follow. A dirty kitchen could lead to fines or prosecution. Better hygiene – a deep cleaned kitchen helps stop bacterial contamination, the spread of diseases and pest infestations. Motivated staff – your staff don’t want to work in a pig sty, so making sure the kitchen is extra clean is good for morale and makes everyone feel proud of where they work. Happier customers – there’s less chance of food being contaminated, so your customers are less likely to get food poisoning and make a complaint. Long-term savings – keeping all your kitchen equipment in good condition makes everything last longer, and appliances usually work better when they’re clean. It’s safer – fat and grease catch and spread fire easily, so getting rid of the grime reduces your fire risk. No two kitchens are the same, so whatever yours is like, we will tailor our deep clean to you. So if you want us to do the whole room, or just spend time getting your key equipment spotless, no problem. We can even come in when your kitchen is closed. We know exactly what’s needed to bring your kitchen up to food safety standards, and a small a small, family run business, we take pride in the way we work. How else could we have been in business for so long? Find out more about us.